Rarely does God do something exactly as we think He will. 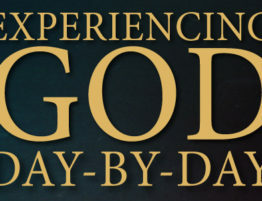 Our problem is that we try to second-guess God, saying, “Oh, now I know what God is planning to do!” Moses experienced this as he learned how God was going to deliver the Hebrews out of Egypt. God told him He would harden Pharaoh’s heart. Yet, the result was not what Moses anticipated. Rather than allowing the Hebrews to leave, Pharaoh increased their hardship. Rather than becoming a hero among the Hebrews, Moses was despised by them for bringing greater suffering. Moses returned to the Lord and asked, “Lord, why have You brought trouble on this people? Why is it You have sent me?” (Exod. 5:22). Much of the frustration we experience as Christians has nothing to do with what God does or doesn’t do. It has everything to do, rather, with the false assumptions we make about how we think God will and should act. It is foolish to attempt to do God’s work using your own “common sense.” God does not eliminate your common sense, He consecrates it. He gives you His wisdom so you can understand His ways. As you look back on God’s activity in your life, you will recognize the supreme wisdom in how He has led you. As you look forward to what God may do, be careful you do not try to predict what He will do next. You may find yourself completely off the mark.